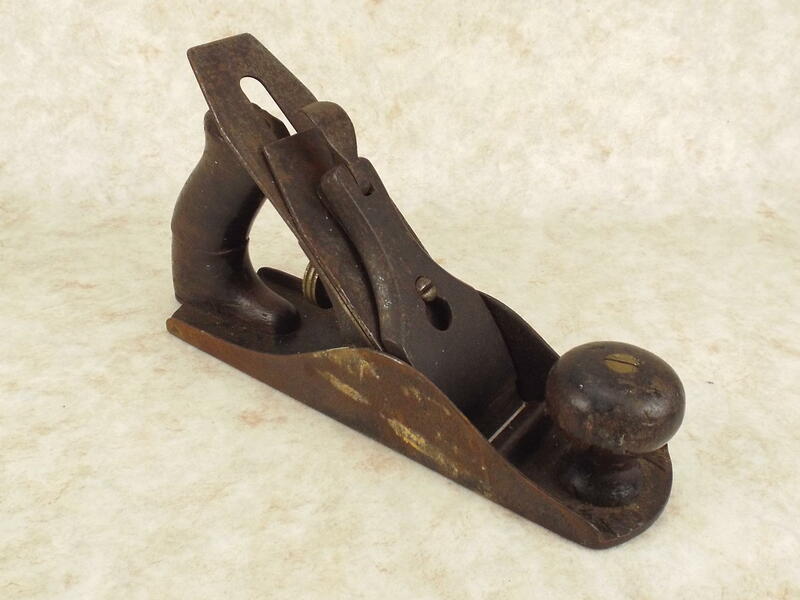 Is this a Millers Fall No4 plane if so how old do you think it is ? It has the name on the blade ONLY and a small letter s behind the rear handle. No lateral adjustment lever. I also think it maybe and early Stanley with a Millers fall blade fitted, (but I am no expert). Post a photo of the trademark on the blade, and we can probably date it for you. I think a low front knob dates it to pre 1918 and it does look like a Stanley to me. This might be helpful: https://oldtoolheaven.com/bench/benchtypes.htm. Just amazing how you guys and gals can look at an unmarked rusty tool and be able to tell brand, age, style, etc. There are distinct features on the old planes (and often other tools) that, once learned, make it easy. It's like anything else; you put in a little time, and you can learn those features. I used to be able to tell different models of car apart; but my passion for cars faded some time back, so I don't know the features on the new ones. They all look much the same to me, with limited exceptions.